Barefoot in the sand or paddling out for waves, surfers are reminded that eventually everything ends up in the ocean. Even on remote beaches in Mexico, storms wash bottle caps, straws, and candy wrappers out to sea and back onto the sandy shore to remind us of this cycle. And those are just the things we can see. Imagine what’s still out there. Although I try to avoid single-use plastic and attempt to recycle everything else, I’m discovering that there are companies leading the way at the manufacturing end of the equation. They’re pioneering fair trade supplier relationships and demanding environmentally low-impact and recycled fibers in their products, all while producing gorgeous, functional apparel made to last. It’s a sad truth that the apparel industry is one of the largest polluters in the world. Part of the problem is it’s just so massive. Like food and shelter, everybody needs clothes. And like many women, I like new clothes. The most popular fabrics come from plants like cotton, bamboo, and hemp or animals like wool and leather, while others are made from petroleum. Think polyester and nylon. Each material performs differently. For example, cotton is soft and breathable, but it’s not practical for swimsuits, leggings, or outerwear. Instead, petro-based synthetics like nylon and polyester are the first choice for those garments, but their production can have a high environmental impact. There is good news. Modern tech is being used to produce synthetic fabrics made from a variety of plastic waste. Common recyclables include single-use plastic bottles, but sew shop waste and even recycled fishing nets can be included. Clothing designers work their magic with these repurposed fabrics to the point where you can’t tell the difference in performance or style when compared to garments made from strictly virgin yarns. But everything we make, even recycled fabrics, organic fibers, and responsibly made garments, have a cost on the environment. We can reduce that impact by the choices in what we buy. Sending the message that we care how our clothes are made will effect positive change, making organic and eco-friendly options the clear standard. If you’d like to support of the movement, below are some great selections. I included each of their webpage links at the end of this post. This Santa Cruz, California based clothing line is known for beautiful styles and lux-feeling fabric. They use organic cotton, made from sustainable fabrics, tinted with low-impact dyes, and crafted with fair and ethical labor practices. prAna offers versatile and stylish clothing that can be worn every day and on every adventure. 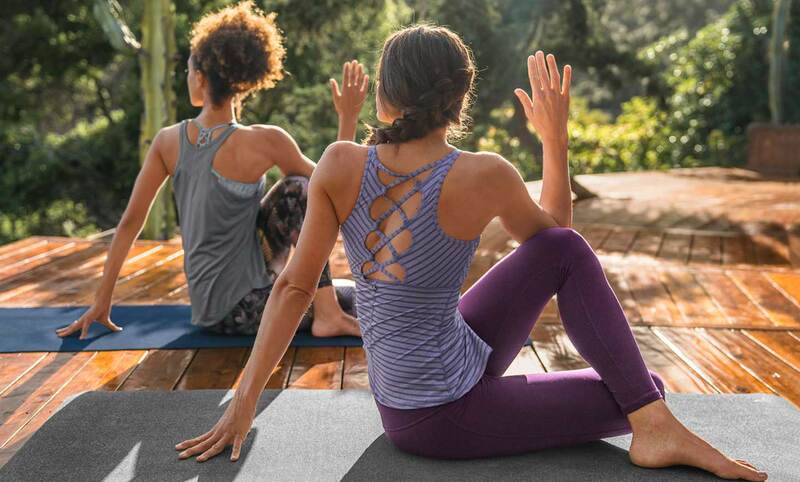 prAna uses materials like organic cotton, hemp, and recycled polyester and is one of the very first major clothing companies to offer Fair Trade Certified products. ADAY makes dressing totally uncomplicated. Using recycled fabrics with comfortable stretch and minimalist, versatile designs, their clothes go with everything and go everywhere, season after season. Providing a natural alternative to synthetic yoga wear, Vyayama uses TENCEL fabric crafted in Europe from sustainably farmed eucalyptus. This fabric is an eco-friendly, renewable fiber and the fabrics created with it are among the softest and most high performing keeping you cool, healthy, and comfortable. When’s the last time a brand told you exactly how much it cost to make their product? Everlane operates on a set of transparent values by sharing exactly how much it costs in materials and labor to make each garment. Their new denim collection has that worn-in, faded look straight off the rack by employing a system to make sure not a drop of water is wasted. BED|STÜ shoes, boots, and handbags are made with organically tanned, chrome-free leather hand cut, sewn, washed, and tumbled for softness, then individually finished. Their Organics Collection is free from harmful heavy metals, formaldehyde, and other known dangerous chemicals. 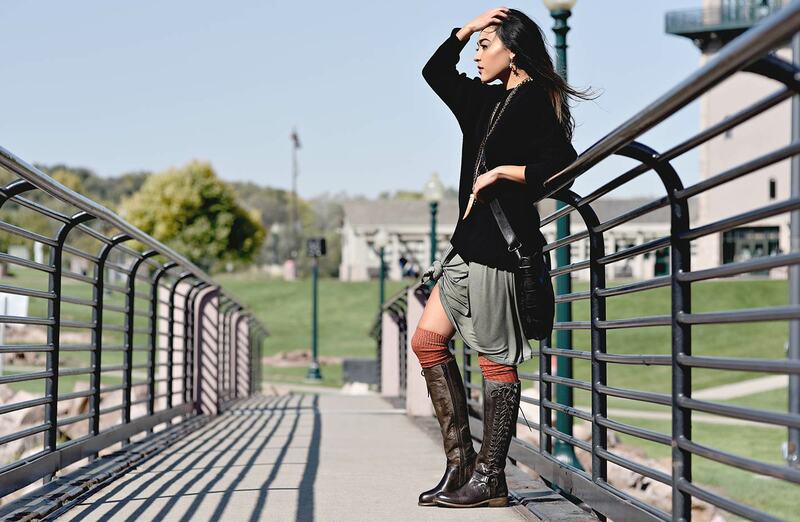 They incorporate vegetable tanned leathers prepared in a pre-industrial, old world, environmentally friendly way using tree bark, leaves, plants, and other organic elements. Encircled is travel friendly clothing that’s lightweight, fashionable, and good to the earth. They incorporate good practices in everything they do, from the sourcing of eco-fabrics to up-cycling production cuttings, using recyclable shipping materials, and printing on only 100% post-consumer recycled papers. For updates on more sources like these, follow me on Get Dressed and Go.